Detailing work continued on the factories at the Lithgow end of town. Pallet racking styled after the Dexion brand, as well as various pallets and boxes, were scratchbuilt and painted. The rack was attached in place along one factory wall, with some of the pallets and boxes glued onto it. Bollards were cut from round plastic sprues, painted yellow, and glued either side of all the doorways and openings. A forklift and driver was added next, working away next to a pile of pallets in the VES factory yard. Pallet racking, built from styrene angle, positioned next to the factory wall ready for gluing into place. A few more vehicles have been detailed and added to the layout. One of Wallerawang's most noted features is the coal-fired power station, which is managed by Delta Electricity. During our visit to Wallerawang we noticed white utes with Delta logos on their doors. 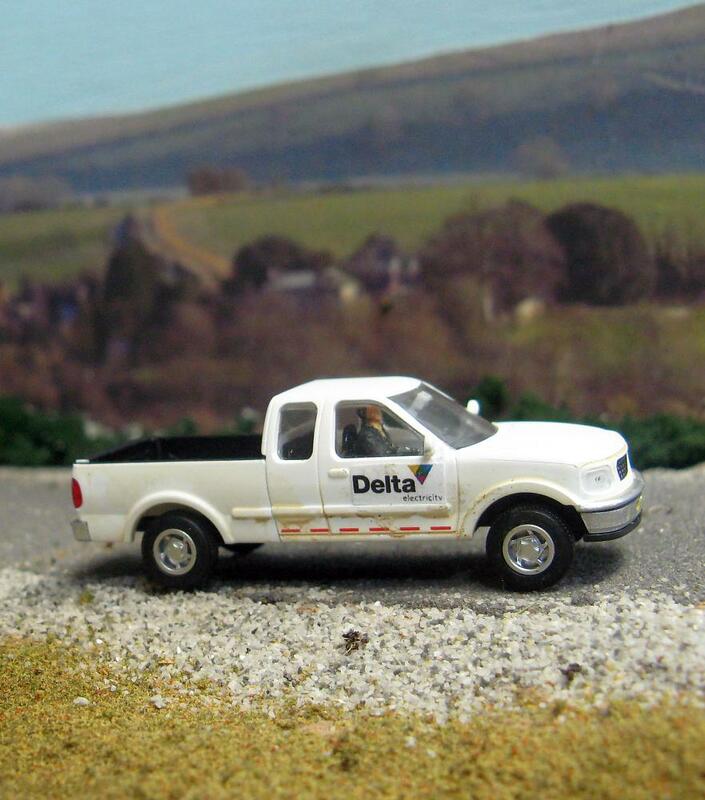 A couple of white utes were bought at the last exhibition and had Delta signage glued onto their sides, representing the stickers seen on the real utes. 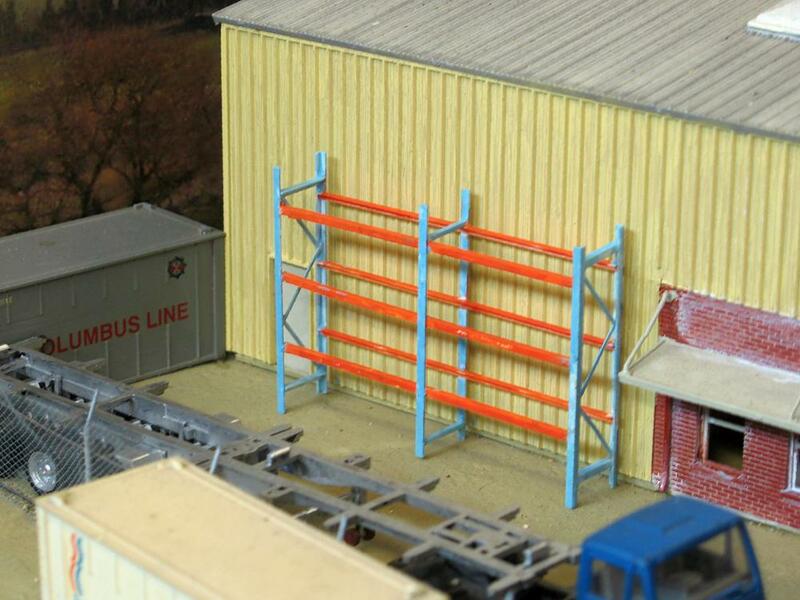 A touch of weathering was applied, before the utes were placed in the main street and by the electrical substation yard. One of the white utes, with driver added behind the wheel. A red tray truck that was purchased earlier in the year was next to receive some attention. Styrene rod was cut to standard length and positioned at an angle from the rear of the tray to over the cab. Sheet styrene was cut into squares, painted grey to represent concrete slabs, and glued next to the pipes. A number plate was also added to the front bumper bar. 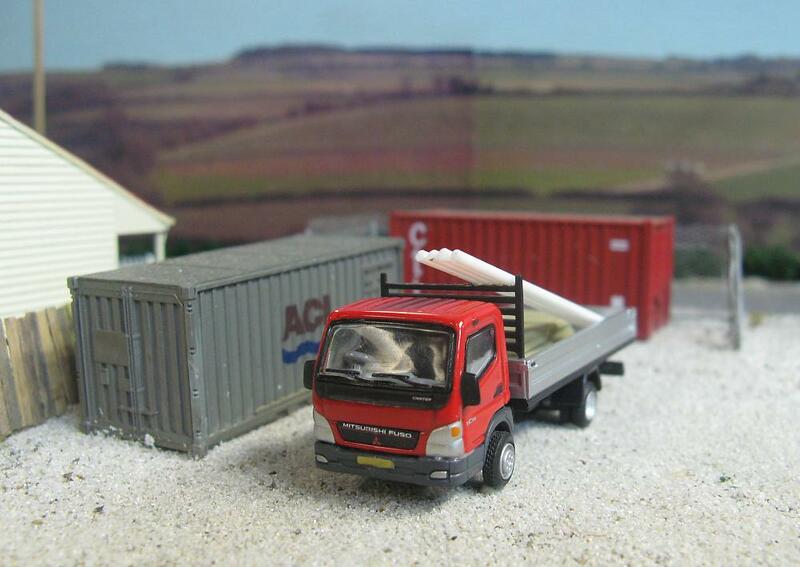 The late model tray truck glued in place inside the ARTC yard. Work has also progressed on the signalling system. The PICAXE program to control the signals went through extensive editing. While the original version worked, there were inherent delays as the program had to wait for the output functions to complete before it could do anything else. The new version has multiple functions operating at the same time, eliminating the delays. A separate setup program has also been written, for adjusting and setting the stop and clear positions of each arm, the speed of the arm movement, and testing of these settings. 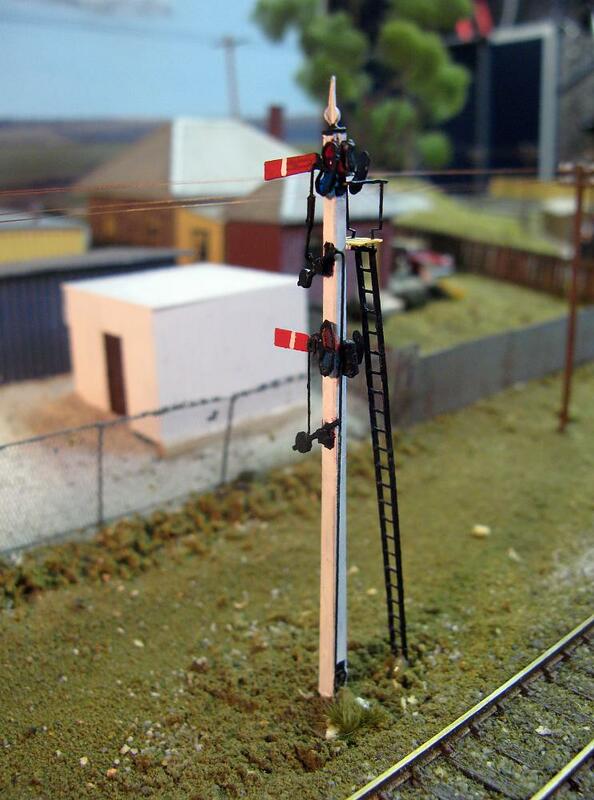 Lower quadrant semaphore kits were bought from Gwydir Valley Models, soldered together and painted. Clear plastic, tinted red and blue, was cut and glued into the spectacle plates. Brass rodding was added so that the semaphore arm and counterweight can be moved by a servo. A warm white surface-mount LED was integrated into the signal lamp, the wires running down the inside of the square post, so that the spectacle plate will be lit. Three of these signals are glued onto the layout in readiness for operation. The first assembled semaphore, in place as an Up Home signal on the Mudgee branch. The upper semaphore has a working arm for access to the main line, and the lower signal is a dummy for the branch line that continues into Wallerawang yard. The jumper cables, used for joining the wiring of the modules together, received an update. The ex-PMG plugs and sockets have no polarisation, meaning they can be connected the right way round (indicated by coloured heatshrink tubing) or the wrong way round. To eliminate any possibility that the wires may get wrongly connected, pieces of alumimium angle were screwed to the plugs and sockets. This ensures that the sockets can only be plugged in the right way, and only to the matching plug in the case where there are two plugs side-by-side.